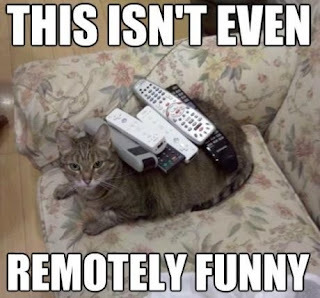 How many of you have a cat that is not amused? 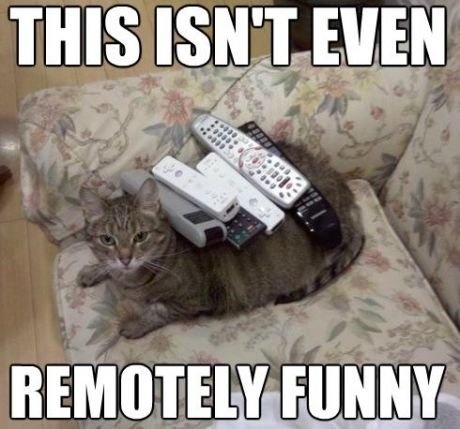 This great share by Rebecca Hyder on Pinterest (via Hello Brolly) puts the "LOL" in cats! Now where did I put that remote?